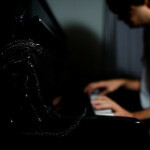 240/365 – “Alien(ation)” nr.28, a photo by Luca Rossini on Flickr. 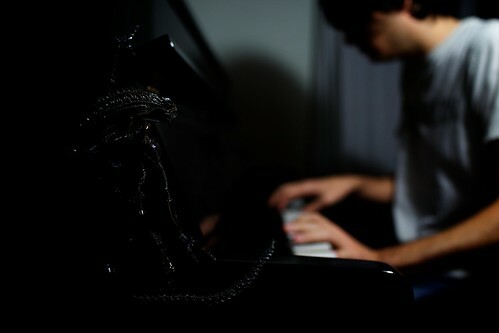 Twenty eighth day of “Alien(ation)”. Ok, here is review of the fourth theme (find other from the earlier pictures). This is a theme which I view as a some sort of ‘open ended theme’ or resting pause after great themes that must have really pushed you on the edge. Since you’ve taken a somewhat technical approach here, I’ll view it from the technical point of view as well. Fact is that I’ve always liked how your pictures look. I don’t know what do you exactly do to them, but I do recognize that you have a certain visual style and maybe couple of variations of it. From this point of view I found it interesting to see how this look changes with a tools you have available. Don’t get me wrong, there are couple of superb pictures here (like 4, 7, 16 and 27) and couple of Nex7-esque shots (14, 18, 23 and 27) which I always like. Then there are couple of shots which, with a set of tools available, look more like visual style is adopted from the tools rather than from Luca (2, 6, 19). To me this reads that you have developed yourself a very unique visual style which is partly depended of the tools, but cannot be mimicked with of-the-shelf-filters which come with every software packages. Looking at your usual work, I don’t see ‘the faded look’ of the VSCO film packs, mimics of the cross-processed look or other usual suspects. You have developed a good eye and taste for post-processing and you don’t rely on clichés of the photography world which seem to be pretty common with amateurs who fall in love with the certain filters and one-click-look of the many software packages. Wish I would have your mad skills and taste. Why I liked this theme? It made me reflect my own decisions when it comes to post-processing and developing my own look. Particularly it made me accept the hard fact that to develop visual style that looks your own takes time and taste, which cannot be acquired from software packages only.